Two Roots Brewing Co. launched the world’s first THC infused, dealcoholized (alcohol removed) beer. In the past few weeks the beer has been all the rage in the cannabis industry, and among consumer. It’s an alcohol alternative which integrates cannabis consumption into a normal social activity. This beer is a scientifically innovative product, and it provides a cannabis consumption method with less sugar and less smoke. We sat down for an interview with the brand for more insight about how the brand got started, how the product was developed and where it’s going after this exciting launch. What was the impetus for Two Roots Brewing Co.? Two Roots: Our whole thing is, if we’re going to do something in the cannabis space, we’re going do it right. We saw a disconnect in the edibles market. between consumer trends, and available cannabis edibles. A chocolate bar isn’t necessarily something that fits into everyday lifestyle. If I were to ask someone, “when was the last time you went to a store to buy a chocolate bar?”, they may not have an answer. Same thing with gummies. It’s just not an everyday thing for adults. If you ask someone, “when was the last time you had an iced tea or a coffee, or a beer for that matter,” that person could probably answer that question a lot easier than answering the question about gummy worms or a chocolate bar . It sounds like your brand is shifting away from what cannabis culture has been and are steering it towards where you believe it should be going. Is that aligned with the company purpose? Or is there more to it? Two Roots: It’s a lifestyle integration. We’re not asking anyone to change their consumption habits, they’re just continuing their usual consumption habits, but they’re continuing with the additional ingredient that they’re looking for, which is THC. 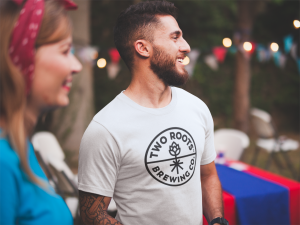 With that goal in mind, tell us more specifically about Two Roots THC infused beer and how it plays into that progress. What makes the team believe it will stand the test of time? Two Roots: There’s so much to say about it. The most important thing is normalcy. There’s a huge market with beer, it’s 112 billion dollars in beer sales last year. We took a look at how many people are moving away from alcohol and towards cannabis. The numbers are alarming. In medical cannabis markets, it’s 15 percent transition away from alcohol. In Colorado, we’ve actually seen a 27 percent decrease in alcohol sales. There’s this systematic shift that’s taking place where millennials are moving away from things that are unhealthy for them towards things that are healthy, they’ll also want to, with that shift, have proper alternatives. And the idea is that cannabis infused beer could be the alternative? Two Roots: Cannabis infused beer is the proper alternative for these folks. Because, we see that they’re stepping away from these other social beverages, but they want to continue to consume in a social environment and at their friend’s party and at a bar and at a restaurant. But what are the options? Just alcohol. Creating something that’s a familiar product type is what we strive to do. We believe that’s why Two Roots will stand the test of time, just as alcoholic beer has. Being that this dealchoholized, THC infused beer is a “world’s first,” what did it take to create the product, being that it hasn’t been done before, and that it definitely hasn’t been done on a commercial scale? Two Roots: The most important thing that we needed to do was to acquire a state of the art dealcoholization plan which doesn’t adversely influence the flavor profile of the product. The other thing we needed to do was have a state of the art water soluble active ingredient. Therefore, for the past few years, we’ve been doing a lot of R&D on water soluble THC that would essentially emulate the experience of alcohol with a rapid onset and a quick dissipation. That’s what we developed which made this beer possible. With our beer, there’s actually an onset of five to seven minutes. The dissipation is around 90 minutes. Meaning, it’s a lot quicker than other edibles for onset, and it doesn’t linger around for eight plus hours like some other edibles do. When consuming this beer, are the effects similar to an edible where onset takes a while and you can’t really gauge what effect it’s had for a while? You really have a different experience each time with traditional edibles. 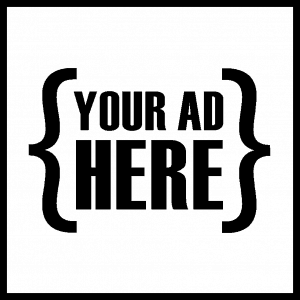 There’s lack of continuity from brand to brand, and even product to product within an existing brand portfolio. That shouldn’t be the case. It’s not like you crack open a Coors Light and you drink it one day, and then five days later you crack open another Coors Light and you have a completely different experience. Who is the team that accomplished these goals? Who are the inventors with the brains that were able to create this “world’s first”, and successfully bring it to market before anyone else? Even before any of the giant beer brands? Two Roots: It took a lot of time and resources and energy bringing our entire science team into the fold. We have multiple pharmaceutical chemists that work for us, and we also have multiple food scientists that work for us. Engaging those two parties together in order to essentially create one focused outcome is ultimately what we did do. The results have been beyond anyone’s expectations. Whose expectations have been exceeded? The Two Roots team? The investors? Two Roots : It goes beyond the individuals involved in our brand. If you go on Instagram, if you go on Facebook, if you track any consumer of this product, from celebrities to the general population, you’ll see how many people are just giving the thumbs up of approval. Snoop Dogg has, his protégé October London is constantly hitting social media about it. Andrew Dice Clay The product has been out for two weeks and we already have celebrities, without us even reaching out to them, that are buzzing about it. It must be exciting as a team to have spent so much time developing a product and a brand, and to see it succeed so quickly. It’s been great getting some insight into the journey, vision and purpose of Two Roots. We’ll touch base in the future, when this company has had some more time to get to where it’s going. Two Roots: Thank you. We’ll talk again soon.